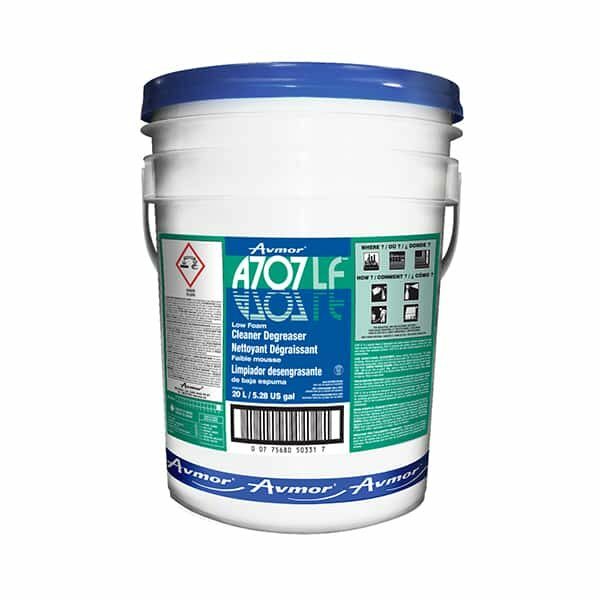 A707 LF is a special blend of detergents and water soluble solvents designed for low foam cleaning and degreasing. A707 LF removes oily residue, grease, protein soil, soot and carbon from washable surfaces. 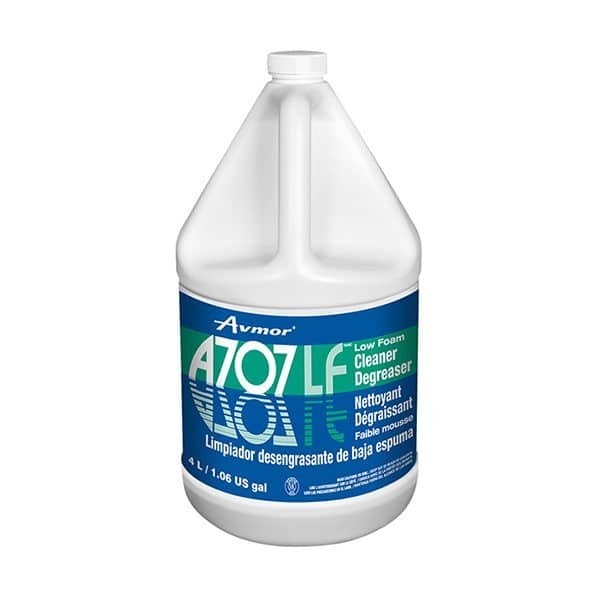 A707 LF is the ideal cleaner-degreaser for use in autoscrubbers. AUTOSCRUBBER: Sweep and/or dust mop floor. For deep scrubbing, dilute one part A707 LF to 30 to 40 parts water (25-33 ml per litre of water). Apply with autoscrubber. Rinse well with clear cold water before applying sealer or new floor finish. GENERAL PURPOSE CLEANING: Dilute one part A707 LF to 5 to 10 parts water (100-200 ml per litre of water). Mop, spray or wipe-on. Rinse or wipe clean. LIGHT CLEANING: Dilute one part A707 LF to 20 parts water (50 ml per litre of water). Mop, spray or wipe-on. Rinse or wipe clean.